Take a look! Recently many incidents happen in AP Outsourcing and Contract Employees like employees are dying in on duty and the family of the deceased are helpless. They have not sanctioned the monthly salaries to lead their family financial matters for many months and they have not feasible to avail the money for obsequies of the deceased employee. In this circumstances, the AP Government has decided to sanction the at least funeral grant for the employees. 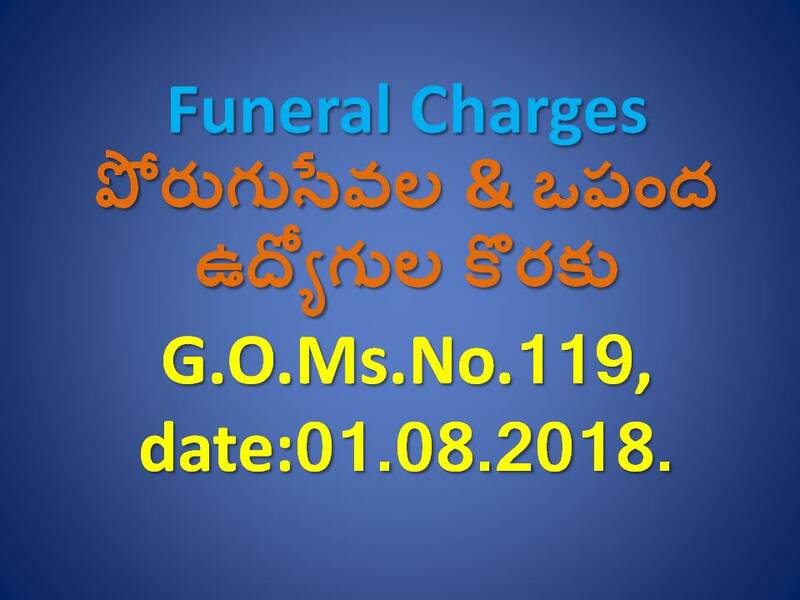 The Andhra Pradesh Government have issued the Government Orders No.119 through the Finance department on 01.08.2018 regarding the sanction of Funeral Charges (Obsequies) of a deceased employee. The Chiman, AP JAC of Employees, Workers, Teachers and Retired Employees Association, Amaravathi has requested the Government for sanction of money to the deceased family member of employees equal to the Regular Employees. 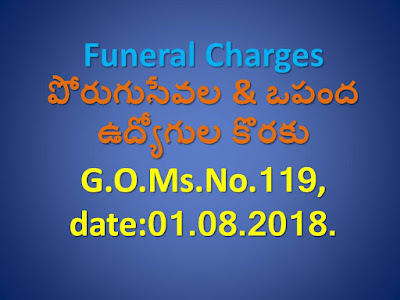 The Government has decided to sanction of Rs.15,000/- towards obsequies charges to the Employees who die in harness while working. The money shall be payable to the nearest relative of the employees or the person lawfully in possession of the body of the deceased. The expenditure on obsequies money shall be debited under 300- Other Contractual Services of the relevant head of account. No need to apply, When a contract or outsourcing employee expires...the employer follows the further procedure to claim funeral charges for the deceased employee. ADMIN-----plz tell us how to apply for Job ..... so many members asking for ur guidance but no one can reply for this question.